Omar Sakr is an Arab-Australian poet whose work has featured in Meanjin, Overland, Cordite, Mascara Literary Review, and Tincture Journal, among others. 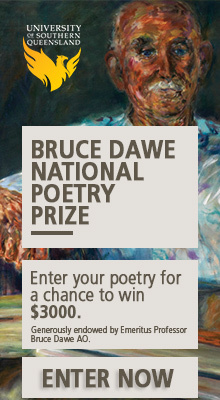 He’s been shortlisted for the 2014 Judith Wright Poetry Prize, as well as the 2015 ACU Poetry Prize. He is currently guest-editing Cordite Poetry Review 54.